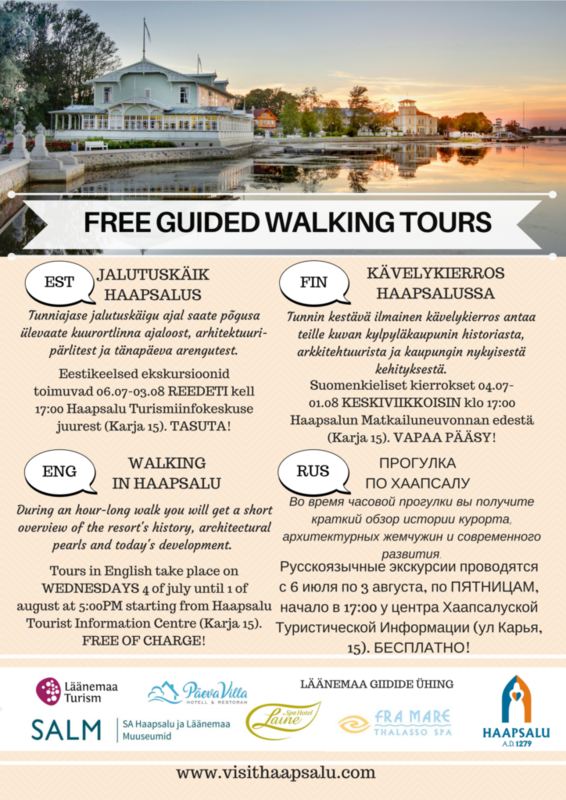 Free guided walking tours in Haapsalu from 4th of july until 3th of august. Every wednesday tours in english and finnish and every friday tours in estonian and russian. Tours will start at 5pm next to the Haapsalu Tourist Information centre (Karja 15, Haapsalu).